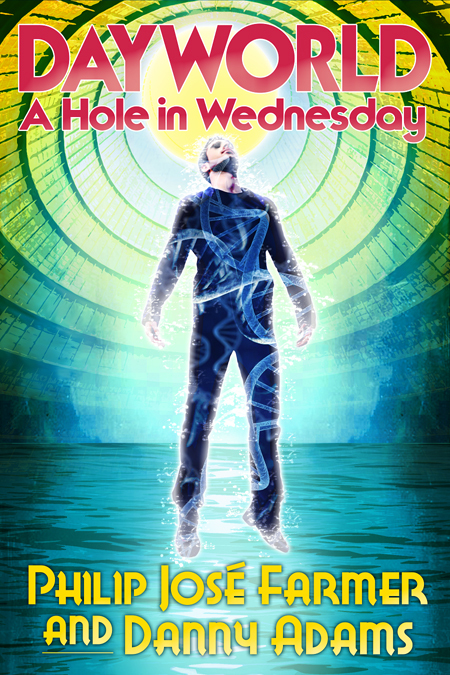 A few weeks ago we announced a new addition to one of Philip José Farmer’s classic series: Dayworld: A Hole in Wednesday by Philip José Farmer and Danny Adams. But, at the time we announced the book, we did not have the cover art finalized. It is with great pleasure that we reveal variant covers: one for the trade paperback edition, and one for the signed limited edition hardcover.